Engaged in the development of site design for a company engaged in construction work. Mostly repairing the roof. 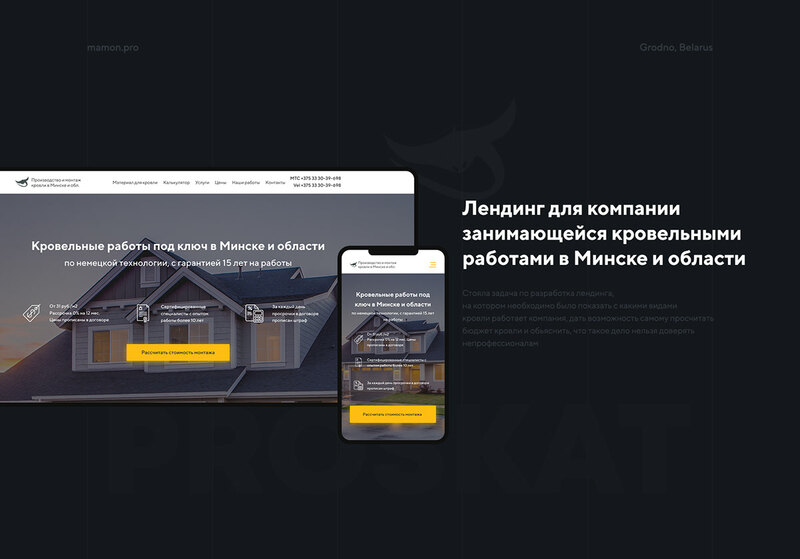 The goal was to develop a rigorous modern design, display a convenient and simple calculator for calculating the cost of roofing and adapt the design to the basic screen resolutions.